I’m actually still waiting for a Brother Louis Collective full length… first Admiral Fallow and now the Moth & the Mirror. What happens to my dream if this project really takes off? Are there any definite plans for another record in the future? Reviews – have you ever purchased something based on one? From an artist’s point of view, what exactly is the point of a review? Do you ever read them? What do you think distinguishes a good record from a truly exceptional one? Since ‘Honestly, this world’ will be our first ever review, can you share any production secrets that will make me sound like I know what I’m talking about? I just finished reading that Gary Lightbody said it was a great record to listen to in the car in the LA sunshine. That may well be true, but isn’t it really meant to be heard through the San Francisco fog across the Golden Gate? Speaking of reviews, we’ve got Martin John Henry lined up next. Have you had a chance to hear it? 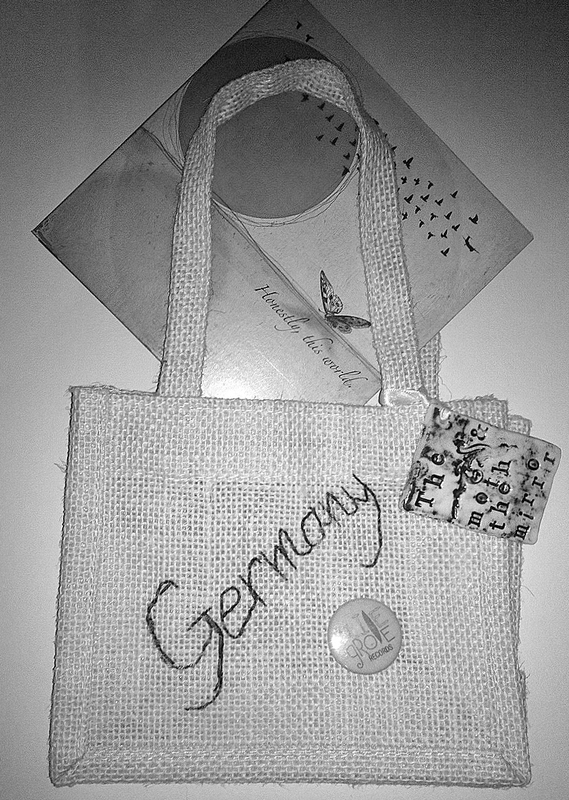 Germany (brilliant single) – I’ve got hand stitched bag 46/50! Why the title? I’m still trying to figure that out. Why not Locarno? Despite the failed attempt at a joke in the first question, I’d say that was a good precursor for our soon to be posted review attempt. I literally was caught completely by surprise by the arrival of the Admiral Fallow record. It was just suddenly there and I knew my 2 year wait for a Brother Louis Collective full length was finally over. But how did I miss it approaching completely?